Operation Overlord is a Success, Paris is liberated yet the North East of Belgium and Holland remains under German Occupation. The Allied advance has slowed as German resistance grows. Allied Supply lines extend while the German Lines contract. The war is in danger of becoming a stalemate. In an effort to regain the initiative and drive into Germany, operation MARKETGARDEN was conceived. US, Canadian and British airborne forces would drop well behind enemy lines, and seize key canal and river crossings. Armour and mechanized infantry would then rush to punch a narrow column into Holland and bring the German heartland into range. The plan was bold and decisive, and doomed. 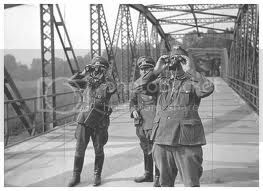 All along the roadway to the bridges hardened German Fallschimjaeger and Waffen SS troops occupied prepared defensive positions in the woodlands and Farms along the line of advance. Instead of a headlong rush to the bridges Allied forces were forced to fight and clear every kilometer of the roadway. Just south of Nijmegen, a key crossing, Combined US British and Canadian Airborne forces along with Allied infantry have discovered German positions covering their advance. While their comrades struggle to survive at Arnhem hoping for relief, no relief will come until the Woodlands and fields near the road to Nijmegen are cleared. Meanwhile, in the face of the Allied advance local partisans and resistance fighters have taken up arms to assist the Allied forces, many serve as local guides and pathfinders and interpreters, while others have carried the fight right to the Germans. Mission: ALLIED FORCES : conduct reconnaissance on the German positions to discover their strength and Disposition. Formulate a plan to drive back the Germans so that the Armoured Column and mechanized infantry can pass. Mission:AXIS FORCES : hold the forward positions on the West side of the forest overlooking the road the Arnhem. Conduct counterattacks against the US advance. THIS IS A WORLD WAR II RE-ENACTMENT EVENT FULL HISTORICAL IMPRESSION INCLUDING WEAPONS IS REQUIRED. NO MODERN GEAR IS PERMITTED. PARTISANS AND RESISTANCE FIGHTERS ARE REQUIRED TO WEAR A HISTORICAL IMPRESSION OF CIVILIAN CLOTHING OF THE TIME. This event is being posted ONE YEAR in advance there is plenty of time to save up for, and build your impression. Oh well, have fun there guys!